Dinastia had the win but Marty got involved to help fellow clown Mini Psycho win via foul. Poder del Norte tied the series 2-2, with the final at Heroes Inmortales. Mascara de Bronce challenged for a shot, lost. bloody match. Super Fly tricked the referee into believing Ricky Marvin used a chair (and that was a DQ this night.) Vampiro set up a domed cage match for Heroes Inmortales for this six people, loser loses hair or mask. Fantasma & Texano couldn't get along. Psycho & Wagner started the show by talking about a rematch before Escorpion added himself to the match. 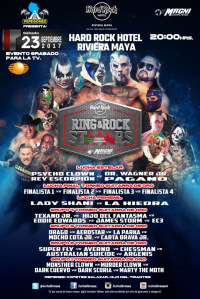 Rey Escorpion fouled Psycho Clown and Wagner grabbed the pin. Kevin Kross attacked Psycho & Wagner after the match. Texano directed James Storm to attack Fantasma's father, then stole Fantasma's pin while he was distracted. said to be for Shani's title shot at Heroes Inmortales. Shani will still face Ayako Hamada. 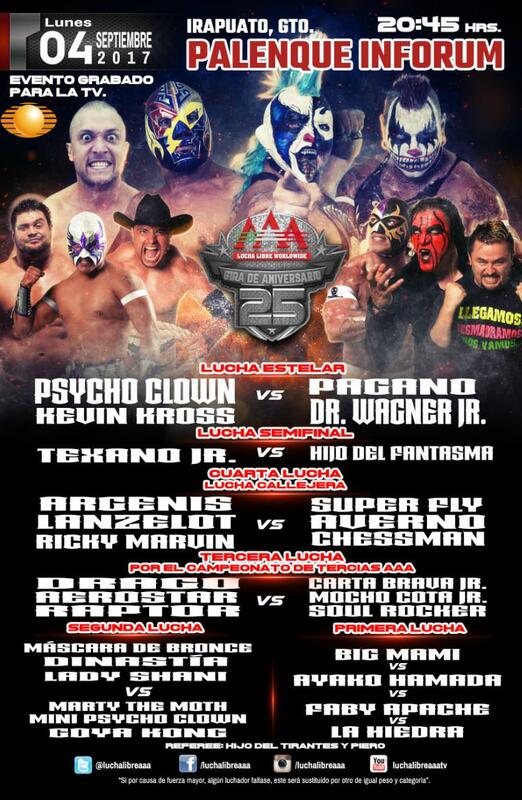 Rey Escorpion started stealing pins from Psycho Clown until Psycho turned on him and set him up for a Pagano legdrop. Wagner fouled Psycho after the fact. Texano fouled Suicide to win the guitar. A post match fight also left him with Fantasma's mask at least briefly.